Vivotek FD8367-V has been discontinued by the manufacturer. For a comparable replacement, please check out the Vivotek FD836BA-HTV. The Vivotek FD8367-V is an all-in-one outdoor style network camera equipped with a 2 Megapixel sensor with resolution at 1920x1080 and a smooth 30 frames per second. Caption high quality and high resolution video, and enjoy two-way audio capabilities with the Vivotek FD8367-V. 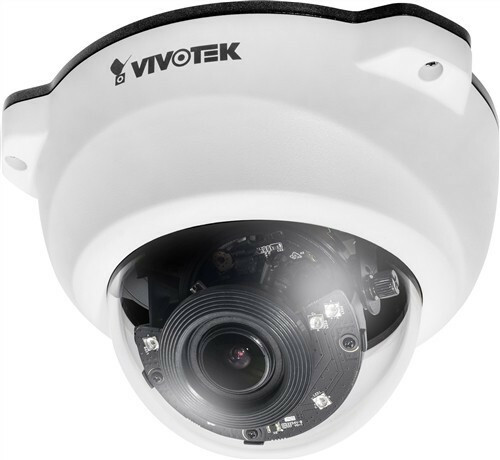 The Vivotek FD8367-V is Weather-proof IP66-rated and Vandal-proof IK10-rated. Its housing can withstand rain, dust and high pressure water jets from any direction and it is also tough enough to protect against deliberate vandal impact. Another great feature is that the FD8367-V was designed with VIVOTEK Smart Stream and 3DNR to save you notable bandwidth. This device also works well in both day and night settings so you can rest assure that this robust IP camera will get the job done.